How to cure Typhoid fever? Typhosa is the bacteria, which is responsible for the hazardous diseases typhoid. This disease is transmitting from the contaminated food and contaminated water. Most of the people that are suffering from the typhoid are not getting the right cure. People suffer because of the lack of proper knowledge. When people touch the contaminated items and eat food with their dirty hands then, the chances of this disease is increases. So, people should avoid the contaminated food. The typhoid germs injected in to the water when people drink contaminated water. For example, the railway platform is the common platform where most of the people use the contaminated products. Some of the people get thirsty during travelling, and they drink water from the tanks, streams and pools. If you have to use this water then, it is good to boil water before drinking. Even drinking from the public cup I also not safe. That is the reason that medical professionals always tell about to eat after wash the hands. There is no matter of the age. Any child, younger or older can be suffered from this disease. This typhoid is spread by the flies. Flies fly from one place to the other contaminated place, which transmit the germs. What are the symptoms of the typhoid? Chilliness and the nose bleed: People suffer from the chilliness and also the bleeding can be started from the nose. 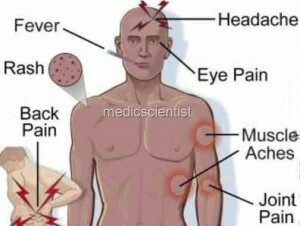 Headache and backache: pain in the head part and in the back part arises commonly. Sometimes, pain arises in the bones and the muscles. Diarrhea: lose motion is the other symptom, which can easily damage the strength of the body. Fever: when people hear about the fever they believe that it is a regular fever. But it’s not. Fever gradually increases day by day. In the typhoid disease, fever can be increases up to the 104 F. when the temperature of the body is increases gradually then, the pulse rate is decreased. To cure the typhoid disease, it can take time from several weeks to a month. Each and every disease can be cured, but there is the need to know about the particular disease. It is because; their symptoms are common like the other disease. By the use of the proper diagnosis, it is easy to cure even medical professionals also take the test samples in the lab. They take the blood test, urine test and the stool test to find the full detail about the health problem. A complete 10 days medicine course has to be taken to cure this fever. If one bacteria remains in our body, again the fever will bounce back after a month. Some of the typhoid cases become complicated because they are not treated well. Over 20 to 30% sufferers do not get proper treatment because they are not aware about the disease. So, diagnosis plays an essential role to finds out the disease whether it is typhoid or any other. Various drugs are also prescribed by the doctors to cure the typhoid. Let us know if you have any other diagnosis as per your local physician and share your views here. Breast Cancer Symptoms, Diagnosis & Prevention Tips How to cure Swine Flu – H1N1 Garlic benefits to cure many health problems. 49 Responses to How to cure Typhoid fever? my wife is suffering from typhoid (TYPHI IgM (Rapid Assey) positive-H) so is it nessary to admit to hospital.. Note that the widal test shows positive even after 3-4 months after being cured. I am suffered from thyphoid fever for the last 7 years and i take many antibiotic but the tablets work for only few days and pain will come back so what shall i do? Good day Dr. I have suffered from recurring typhoid for 10 years now and I have been to different hospitals with high titres ranging between 180-320. It’s getting worse now because antibiotics no longer work. Please I need your advice. why the fever comes every year? it’s any problem in liver function? Hlw…. My name is vishal, i have a typhoid since 6 days, i also clinic 3 days ago,he gave me antibiotics (cefixime and oflaxicin,paracetamol) for fever and headache. yesterday,i also checked for blood test finally, it shown me s.typh. O and A be positive. He again gave me same tablets for three time a day for three days . Earlier i also told to him,i want to b fit near 8 of September as possible,i have physical test. Will these medication ok,and it can treat me beyond 8 th of sept. Or in next 2 days? Yes you can have it. I would advice you to consult yoru physician on this..
hi, how do i notice i no longer have typhoid? And apart from antibiotics, is there any other medication for its cure? Your family physician might advise you to repeat few test which can confirm that the typhoid is cured. I am suffering from typhoid . my Widal test was positive O 160 and H 180. Dr had given me antibiotics. After 2 weeks I again did my blood test in that widal test report was . O 60 and H 60. Should I consider it is cured . or should I continue to take antibiotics? Take advise from your physician. Have a high calorie diet, Keep sipping in Glucon D water. Eat healthy home cooked foods. Get prescription of some multivitamin from your physician. Thank you very much Dr. I went back to the doctor due to the problem of lack of balance and he told me that im suffering from vertigo so Im now taking some medication on that. there is i slight change though but Sleeping is still a challange too. It’s about a 2 week before I was having very high fever nd that day only I have blood test nd test comes beginning of typhoid.. Now 2 weeks passed away and from that day fever has not come back nd my temperature is normal.. Bt only headache comes for some hours nd it gets OK after a painkiller nd I have not taken doctor medicine Bt then also make well.. So I wanna ask is it a sigh that typhoid has gone??.. Or how can I get to know?? You have to repeat all the pathology test to assure that typhoid has completely vanished. Do not take painkillers for headache. Talk to your physician and then decide. Also increase your intake of fluids, fruits and raw veggies. Start taking multivitamin capsules. These few changes will help you to boost your immunity. Please visit your family physician who can assess you completely… pus cells do not indicate typhoid only.. so do not assume any condition.. Do take advise of M.D. physician and take treatment as advised by him/her. My mother got thyfoid fever 1and half month back.but it is not getting cured still. Please change the doctor if its beyond one months. Give her sterilised food and water. No oily and spicy food. Make food in ghee so digestion is easy. More of fruit juices and fruits. Lots of water throughout the day.